science vs religion | Is Faith Sensible? Is it sensible that natural processes, unaided, can make something entirely unique, something that never existed before, something never possessed by matter? First life — here, or anywhere — how did it come to be? Science insists that given just the right physical and chemical conditions, life will spontaneously emerge. The Bible, and most of the world’s religions, states that life can only be bestowed by the sole keeper of life: The Creator God. These are more than technical positions, they are fundamental worldviews. The worldview a person holds does a lot for them, but it also carries baggage that can be not so good. The Wikipedia encyclopedia says that a worldview “is the fundamental cognitive orientation of an individual or society” and is the perception one holds of reality. “Additionally, it refers to the framework of ideas and beliefs through which an individual interprets the world and interacts with it.” This last phrase is especially important to today’s topic. Science, by definition, can only deal with the physical. The scientific method has no way of mixing metaphysical causes with physical causes and effects. Indeed, good science strenuously rejects data that cannot be verified by direct observation. Consciously or unconsciously, scientists tend to adopt this scientific approach as their personal philosophy of living or worldview. Many disdain the existence of God. Theist proponents of a biblical Creator are no less closed minded and biased. While devoted protection of the inerrancy of the Bible’s account of creation is understandable, even laudable, the resulting position is no less intractable as that of science. A cornerstone of Scripture is that God created both the universe and the Bible. Isn’t it sensible, therefore, that the study of both Scripture and nature (science) must be in harmony? Why isn’t it? I have come to conclude worldviews get in the way. The concept that life began as a simple one-celled organism originated with Charles Darwin. “Darwin’s theory presupposes that non-living chemicals, if given the right amount of time and circumstances, could develop by themselves into living matter.” Guillermo Gonzalez, Ph.D., assistant research professor in astronomy and physics, and Jay Richards, Ph.D. philosophy and theology, write, “In the nineteenth century, many thought life at the microscopic level was simple. The nineteenth-century Darwinist Ernst Haeckel, for instance, characterized cells as simple “homogeneous globules of protoplasm.” Despite what we now know about the mesmerizing complexity of cells, and the fundamental difference between chemistry and the biological information encoded in chemicals, many still assume that where there’s liquid water, there may very well be life.” (regarding note 3 , see the discussion later in this article on DNA encoding). Far be it for me to question the esteemed National Academy of Sciences, but as I read this explanation, it seems that these conditions might be necessary for the kind of first life that could proceed to develop according to the process of biological evolution (which is the topic for the next article in this series). However, conditions two and three don’t appear to be requisite to life if there are other explanations for the subsequent development of higher life forms (granted I have left out context in my quotation, but the full text does not help me with my question). Could their worldview be biasing the scientists? To illustrate the impossibility of a living cell occurring by natural processes, Dr. Wells continued, “Put a sterile, balanced salt solution in a test tube. Then put in a single living cell and poke a hole in it so that its contents leak into the solution. Now the test tube has all the molecules you would need to create a living cell … [but] you can’t put Humpty-Dumpty back together again. So even if you could accomplish the thousands of steps between amino acids … and [just] the components you need for a living cell — all the enzymes, the DNA, and so forth — you’re still immeasurably far from life.” (emphasis added) Even under optimized conditions, the odds of producing, naturally, just one of the dozens of functional protein molecules needed for life is estimated to be one chance in 10 with 60 zeros behind it. Science – not theists – seems to making a sensible case that a Creator God must have initiated life. 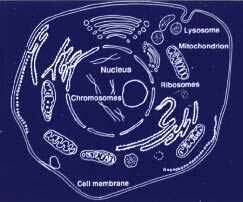 However for me, the strongest evidence for creation of life lies in understanding a little bit about the DNA molecules in every living cell. 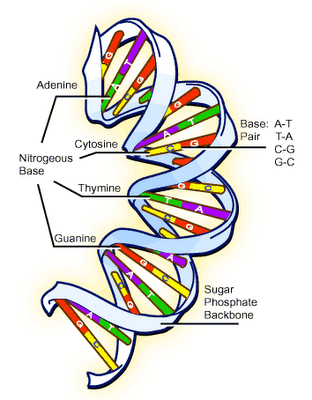 Without DNA no cell can replicate itself — an essential in the very definition of life. For a technical description of the DNA molecule and what has to occur for one to come into existence, see Ward and Brownlee’s Rare Earth, pages 60 through 66. Also note 3 cites several excellent sources on the subject. For our purposes here I’ll quote Perry Marshall, a computer science expert, author, and consultant in communications theory. Have all these scientific findings and astronomical odds against naturally occurring life moderated the worldview of science to a more sensible position? “Some scientists have argued that, given enough time, even apparently miraculous events become possible—such as the spontaneous emergence of a single cell organism from random couplings of chemicals. Sir Fred Hoyle, the British astronomer, has said such an occurrence is about as likely as the assemblage of a [Boeing] 747 by a tornado whirling through a junkyard. Reflect on the timing: as I quoted Dr. Schroeder above, “There were no “billions of years” for amino acids to combine randomly into life.” Life, in surprising variety, originated virtually at the same time as the first water appeared on Earth following the cessation of the late Heavy Bombardment. Does it seem to you that faith in the Creator God is sensible? Wikipedia, the free encyclopedia, re: worldview. Lee Strobel, (2000), The Case for Faith, (92), Grand Rapids, Michigan, Zondervon Publishing. On the importance of information in biology, see Hubert Hockey, Information Theory and Molecular Biology (Cambridge, Cambridge University Press); Bernd-Olaf Kuppers, Information and the Origin of Life (Cambridge: MIT Press, 1990); Bernd-Olaf Kuppers, Molecular Theory of Evolution (Heidelberg: Springer, 1983); W. Loewenstein, The Touchstone of Life (New York: Oxford University Press, 1998). On the difference between biological information and chemical structures that carry no information, see Michael Polanyi, “Life’s Irreducible Structure,” Science 160 (1968):1308, and Michael Polanyi, “Life Transcending Physics and Chemistry,” Chemical and Engineering News (Aug. 21, 1967), 54-66. Guillermo Gonzalez and Jay Richards, (2004), The Privileged Planet, (285), Washington, D. C. , Regency Publishing. The gases chosen to represent ancient Earth’s atmosphere in which the experiment was conducted were significantly in error, invalidating the results. Walter L. Bradley, Ph.D., quoted by Lee Strobel. (2000), The Case for Faith, (92), Grand Rapids, Michigan, Zondervon Publishing. Arcady R. Mushegian and Eugene V. Loonin, “A Minimum Gene Set for Cellular Life Derived by Comparison of Complete Bacterial Genomes,” Proceedings of the National Academy of Sciences, USA 93 (1996): 10268-10273; and others. Minik T. Rosing and Robert Frei, “U-Rich Archaen Sea-Floor Sediments from Greenland — Indications of >3700 Ma Oxygenic Photosynthesis,” Earth and Planetary Science Letters 6907 (2003); 1-8. Are today’s Bibles accurate copies of the original writings? Were the original writers recording the events accurately? Is the Bible, in its entirety, really God’s personal message to mankind, that is, the inspired (directed by God), inerrant, and completed writings to us from God? In this third article on the topic, please don’t think I am undertaking to prove that God Himself penned each letter. I think it’s obvious that the supernatural cannot be proven by any natural means. But the evidence available infers God’s authorship to a compelling degree — at least it seems so. You decide. Most who have tackled this subject use text within the Bible itself as evidence of its Holy origin. Technically, this is circular reasoning. So let’s look at other facts first. Harmonious internal consistency. If just 10 people today were picked who were from the same place, born around the same time, spoke the same language, and made about the same amount of money, and were asked to write on just one controversial subject, they would have trouble agreeing with each other. But the Bible stands alone. It was written over a period of 1,600 years by more than 40 writers from all walks of life. Some were fishermen; some were politicians. Others were generals or kings, shepherds or historians. They were from three different continents, and wrote in three different languages. They wrote on hundreds of controversial subjects yet they wrote with agreement and harmony. They wrote in dungeons, in temples, on beaches, and on hillsides, during peacetime and during war. Yet the Bible is one story. Characteristics of the content throughout the Old Testament and New Testament have a surprising congruence, pointing to a single Author. The underlying heptadic structure. Ivan Panin devoted 50 years — his life — analyzing the Bible for what he came to be certain was an inexplicable structure in the original writing of all 66 books. The recurrence of the number seven – or an exact multiple of seven – he found occurs throughout the Bible. This has been verified and is widely recognized. The Sabbath on the seventh day; the seven years of plenty and the seven years of famine in Egypt; the seven priests and the seven trumpets marching around Jericho; the Sabbath year of the land and the Sabbath of Sabbath years of the land, 49 (the year of Jubilee), are well-known examples of which there are many, many more. But it turns out this pattern continues below the surface in the numerical properties of both the Greek of the New Testament and the Hebrew of the Old Testament. One of the simplest – and most provocative – occurrences of this pattern shows up in the vocabulary used. Usually one finds no repetitive relationship between the number of vocabulary words used in a section of writing and the total number of words in that section. Not so in the Bible. For example, in the opening passage of Matthew recording the genealogy of Christ, 72 Greek vocabulary words are used. The number of those words which are nouns is exactly 56, or 7 x 8. A gee-whiz happenstance? Not so fast. The Greek word “the” occurs most frequently in this passage: exactly 56 times, or 7 x 8. Also, the number of different forms in which the article “the” occurs is exactly 7. In the first of the two main sections of this passage (verses 1-11) the number of Greek vocabulary words used is 49, or 7 x 7. Of these 49 words, the number beginning with a vowel is 28, or 7 x 4. The number beginning with a consonant is 21, or 7 x 3. Also in these 49 words, the number of words which occur more than once is 35, or 7 x 5. The number of words occurring only once is 14, or 7 x 2. The number of words which occur in only one form is exactly 42, or 7 x 6. The number of words appearing in more than one form is also 7. There are more examples in just this one passage from Matthew than space here allows. Moreover, Panin alone recorded occurrence of these repetitive structures of 7 in over 43,000 pages of his work! Coincidences of textual analyses (although wildly impossible to find in any other writing) or a divinely planted authenticating message? Certainly no human intelligence could have written this way. Prophesy. Throughout the Bible there are prophecies concerning nations, historic events and individu­als. But what lends such overwhelming creditability to the divine origin of these prophecies is the fact that hundreds have been literally fulfilled in the most minute detail. God Himself established the issue of prophetic fulfillment as a legitimate test of divine authorship and authenticity, Isaiah 41:21-23, 26. The Old Testament, written over a 1,000 year period up to about 400 years before the birth of Christ, contains 300 hundred references to his coming — all of which were fulfilled exactly by Jesus Christ. Peter Stoner, in his book Science Speaks, offers the statistics that the chance of any one man fulfilling just eight of these 300 prophesies is 1 in 1,000,000,000,000,000,000. If the State of Texas was covered with this many silver dollars (the depth would be two feet) and just one of them was painted red, the odds of a blind man picking it up with just one try is the same. And these odds are for fulfilling only eight of the 300 prophesies Jesus fulfilled! Proof the Bible is God’s Word? No, but the inference is … what? Tacitus—in Book XV, Ch. 44—writing in A.D. 114, tells us that the founder of the Christian religion, Jesus Christ, was put to death by Pontius Pilate in the reign of the Roman Emperor, Tiberius. Pliny the Younger wrote a letter to the Emperor Trajan on the subject of Christ and Christians (Book X—96). Josephus, the Jewish historian, in A. D. 90, has a short biographical note on Jesus Who is called Christ in his Antiquities —Book XVIII, Ch. III, Section 3 . The Babylonian Talmud makes mention of Jesus Christ. Historical verification of Jesus of the Bible lends credence to the Bible itself which, in turn, speaks to its own authenticity. Old Testament (OT) passages identify the Mosaic law and the words of the prophets, both spoken and written, with God’s own speech (cf. 1 Ki. 22:8-16; Ne. 8; Ps. 119; Je. 25:1-13; 36, etc.). New Testament (NT) writers view the OT as a whole as ‘the oracles of God’ (Rom. 3:2), prophetic in character (Rom. 16:26; cf. 1:2; 3:21), written by men who were moved and taught by the Holy Spirit (2 Pet. 1:20f. ; cf. 1 Pet. 1:10-12). Christ and his apostles quote OT texts, not merely as what, e.g., Moses, David or Isaiah said (see Mk. 7:10; 12:36; 7:6; Rom. 10:5; 11:9; 10:20, etc. ), but also as what God said through these men (see Acts 4:25; 28:25, etc. ), or sometimes simply as what ‘he’ (God) says (e.g. 1 Cor. 6:16; Heb. 8:5, 8), or what the Holy Spirit says (Heb. 3:7; 10:15). 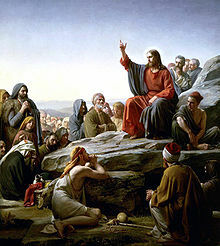 Furthermore, OT statements, not made by God in their contexts, are quoted as utterances of God (http://ref.ly/Mt 19.4f. ; Heb. 3:7; Acts 13:34f., citing Gen. 2:24; Ps. 95:7; Is. 55:2 respectively). Also, Paul refers to God’s promise to Abraham and his threat to Pharaoh, both spoken long before the biblical record of them was written, as words which Scripture spoke to these two men (Gal. 3:8; Rom. 9:17); which shows how completely he equated the statements of Scripture with the utterance of God. Can the Bible be its own “proof”? No, that’s circular reasoning. But once more, what’s the inference? Divine Inspiration. Inspiration is that mysterious process by which the divine causality worked through the human prophets without destroying their individual personalities and styles to produce divinely authoritative and inerrant writings. The belief that the Jewish and Christian Scriptures are “inspired” by God—that is, that their language and imagery are directly willed by God and committed to writing under his direction—is ancient and influential. Just how such divinely directed writing could be accomplished is beyond comprehension, which has given rise to doubts and entirely new schools of scholarly criticism. Again, supernatural acts cannot be proved, or disproved, by natural means. Not proof, but inference remains, and compellingly so. Inerrancy. Is all of Scripture God’s personal word to mankind or does the Bible only contain God’s word, that is, is scripture without error? Modernist thinking and the Higher Critical interpretation of the Bible challenges both of these choices — as well should be the case if the metaphysical can be proven by the physical. But that’s not possible. If it is sensible, as inferred by the information I have presented, that the Bible is God’s Word then the inference must also extend to inerrancy of what He superintended the inspired writers to write. But what about the contradictions and errors? Paradoxes? Yes. Contradictions? No. Invariably, passages which seem to contradict simply show us we didn’t understand the meaning of one, or the other, or both passages. Apparent errors are resolved in much the same way. Are there hard passages? Certainly. Is there any person, any theologian, who understands God’s message in every detail? Absolutely not. Understanding is, in itself, a gift from God — which is why so many non-Christian Bible scholars find reason to criticize. This article could go on and on. There is much more evidence to commend God’s personal authorship of the Bible. For example, the Bible’s power to change lives, the incredible way it interacts with those who seek answers from its pages, even that it has survived repeated annihilation attempts. By 1930 over one billion Bibles had been distributed and over 200 million are being printed each year. Nothing compares. That’s all for now. I apologize for letting this go so long. Ivan Panin (various works), Bible Numerics, P. O. Box 206, Waubaushenen, Ontario, L0K 2C0. Tan, P. L. (1996, c1979). Encyclopedia of 7700 illustrations : A treasury of illustrations, anecdotes, facts and quotations for pastors, teachers and Christian workers. Garland TX: Bible Communications. Wood, D. R. W., & Marshall, I. H. (1996). New Bible dictionary (3rd ed.) (508). Leicester, England; Downers Grove, Ill.: InterVarsity Press. Geisler, N. L., & Nix, W. E. (1996, c1986). A General Introduction To The Bible (Rev. and expanded.) (39). Chicago: Moody Press. Fahlbusch, E., & Bromiley, G. W. (1999-2003). The Encyclopedia Of Christianity (2:713). Grand Rapids, Mich.; Leiden, Netherlands: Wm. B. Eerdmans; Brill. The following parameters of a planet, its moon, its star, and its galaxy must have values falling within narrowly defined ranges for life of any kind to exist. Characteristics 2 and 3 have been repeated from [Appendix A] since these apply to both the universe and the galaxy. Hugh Ross, PhD, (1995), The Creator and the Cosmos, (138-141), Colorado Springs, CO, NavPress. ITS TIME TO REVISIT why I’m writing these articles — and why you are reading them. Every one of us lives by faith! The question is — is the faith we live by sensible? Each of us navigate the decisions in life in a framework of beliefs. Each of us, even the most accomplished scholars, face life with many solid, testable facts at his/her command and an even larger inventory of things we don’t know. So how do we handle life when it hinges on factors we don’t understand? Now resist self-defensiveness for a moment. Pull together the pieces of your answer fairly, objectively. Criticism is not intended here. Don’t we decide by drawing from the sum total of our life experiences everything that bears on the issue at hand and make reasonable guesses at what we don’t know? For the scientist, the guessing part is one or more hypotheses. For the businessman, maybe a hunch or a risk/reward calculation. For the engineer, it’s a probability. For others perhaps intuition is the right word. But for all of us, we have to acknowledge we act on faith, faith in our guesses. For each of us, we conduct our science, run our businesses, build, invest, and care for our families on, what is to us, sensible thinking — sensible faith. It may be very difficult to admit to ourselves (no one else is looking right now) but consciously or unconsciously, every single one of us is a person controlled by faith! So, why is this and the other articles numbered “#3x” seemingly about the so-called “war” between science and religion? Why am I writing these, as well as all the articles I have in mind for the future? Because I’d like to persuade you, the reader, to be certain your faith is sensible! I’d like to persuade the scientist and the engineer that maybe science and religion are not really in conflict. I’d like to persuade the theologian that perhaps some doctrines, while not in error, maybe we’re not thinking about them as was intended. I’d like to persuade every reader to consciously think about what’s guiding his/her life — rejecting subconscious servitude to self-indulgence, peer pressure, and partial/misunderstandings. I’ve just waded into a hornets’ nest. What intellectual arrogance! What vitriolic personal attacks on others for no reason other than they offer different thoughts!! That’s what made me stop and rethink this whole undertaking from which you are reading the early articles, and caused me to express the opening thoughts above. This particular article is about the amazing uniqueness – or apparent uniqueness – of planet Earth. It’s about how “finely tuned” it and, in fact, the whole universe (see previous article) seems to be for life. In my research, those of you who know this subject know it was inevitable that I would run into two important principles: The Anthropic Principle and The Copernican Principle. As I always try to do, I looked for other than one source on any given topic. That’s when it happened. The Wikipedia information on The Anthropic Principle carries the note that its “neutrality” had been “questioned,” and offers a link to the “talk” section. I encourage you to go there if you wish. I found it interesting and informative, but I can’t recall when I have read anything that disappointed me more about our human condition. So, there are many critics of religion who have placed their faith in the belief that natural cause-and-effect relationships will be found in the future to explain this incredible “fine tuning” of the universe and this planet for life without the need for a transcendent super-intellect to “design” it all. There are also many who are convinced that — although circumstantial — this fine tuning is unbelievably improbable unless guided/designed supernaturally. Interestingly, one side of the debate is science — the other philosophy. How these intelligent, highly educated people can think that science will ever settle a philosophy (metaphysical) issue, or philosophy can ever settle a science question strains my comprehension. 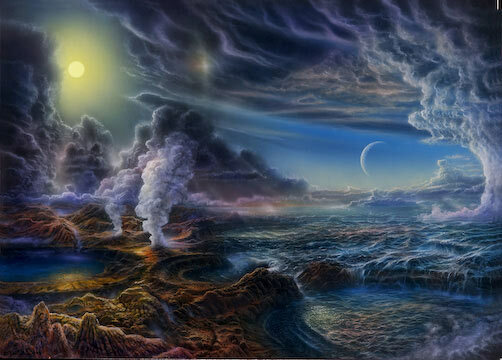 If you, the reader, would like to peruse samples of the “fine tuning” all this intellectual tempest swirls around, please go to Appendix B to this article, Evidence for the Design of the Galaxy-Sun-Earth-Moon System for Life Support. A similar sampling regarding the fine tuning of the universe is provided at Appendix A.
 Gerald L. Schroeder, (1998), The Science of God, (185-186), New York, NY, Double Dell Publishing. Timothy Keller, (2009), The Reason for God, Belief in an Age of Skepticism, (92), New York, NY, Riverhead Books. Unless you, the reader, accept that there is at least a reasonable probability that God exists and is interacting in His creation today, read no further. Perhaps reading, or rereading, the articles numbered #3 may help (at the tab above the picture labeled “Is There A God?”). Failing this, I’m afraid that this post, and all the articles that follow, will simply be an irritant to you if you are philosophically unconvinced that God exists. Is the Bible, in its entirety, really God’s personal message to mankind, that is, the inspired (directed by God) and inerrant Word of God? You may be surprised to learn that extensive work has been done to answer those questions. So much information is so readily available that I am wondering why am I trying to add another “grain of sand to the beach?” Because I must. Because you may find this article while missing the others. And because resolving these three issues is essential to the credibility of the writings you will find here in the future – many of which will differ in important ways from traditional writings. So all I can give you in this small space is unsatisfyingly brief summaries together with references to help you find more complete treatments of the material. First, are today’s Bibles accurate copies of the original? The accepted method for verifying the authenticity of an ancient writing is to (a) compare the date of the writing with the time of the historical events, (b) If a copy, determine the time gap between it and the original writing, (c) determine the number of existing copies of the writing, and (d) compare the texts of the new find with the existing copies. The closer the date of the writing with the historical events or other existing copies the more accurate it is. The fewer textual differences with other copies the more accurate, and the more existing copies the greater the confidence in accuracy. Old Testament: Before the discovery of the Dead Sea Scrolls, our earliest Hebrew copy of the Old Testament was the Masoretic text, dating around 800 A.D. The Dead Sea Scrolls date to the time of Jesus and were copied by the Qumran community, a Jewish sect living around the Dead Sea. We also have the Septuagint which is a Greek translation of the Old Testament dating in the second century B.C. When we compare these texts which have an 800-1000 years gap between them we are amazed that 95% of the texts are identical with only minor variations and a few discrepancies. For me, this comparison is astonishing! How is this possible when we know that, without the invention of the printing press, copies had to made by hand for 1400 years? The human effort in the copying process was huge. It was so meticulous that every character and every word was counted; any discrepancy resulted in destruction of the entire copy – probably years of work. The result? New Testament manuscripts agree in 99.5% of the text compared to only 95% for the Iliad for example. Most of the discrepancies are in spelling and word order. A few words have been changed or added. There are two passages that are disputed but no discrepancy is of any doctrinal significance, i.e., none would alter basic Christian doctrine. In addition, there are so many New Testament quotations in the non-Biblical writings of the Church Fathers of the day that even if all 24,000 N. T. manuscripts were lost and all Bibles existing today were destroyed, the entire New Testament could be reconstructed except for eleven verses! Any impartial examination of this mountain of evidence simply has to conclude the New Testament we have today is a faithful and accurate copy of the original writings. Further, this highly credible New Testament text repeatedly quotes, verbatim, the text we have in the Old Testament, greatly enhancing the credibility of today’s Old Testaments. “But what about all these translations lying around today?” you ask, and rightly you should. The copy accuracy to which the above material refers is today’s text in its original language, that is, Hebrew, Aramaic, and Greek. Preserving the original meaning of words is always a challenge in any translating task and the Bible is no exception. Still, the Bible translators have done an amazing job, especially considering how rapidly today’s “street language” changes. When in doubt, or when correct translation is critical to an important doctrine, the student is well advised to consult a good interlinear and/or dictionary-commentary. Were the original writers faithfully recording actual events? Is the Bible, in its entirety, really God’s personal message to mankind? That is, is it the inspired (directed by God) and inerrant Word of God? I think I must address these in the next article – I’m already well beyond the length here I like to stay within. More thoughts next time . . .
Next: article #4b IS THE BIBLE REAL? – DID IT REALLY HAPPEN THAT WAY? “Is Our Copy of the Bible a Reliable Copy of the Original?”, Rich Deem, Evidence For God. For the referenced text in full, click here (http://www.godandscience.org/apologetics/bibleorg.html#6v7VQ7FsT66w). F.F. Bruce, (1988), The New Testament Documents: Are They Reliable? 5th rev. ed., Grand Rapids, MI: Inter-Varsity Press. Metzger, Bruce M. (1992). The Text of the New Testament: Its Transmission, Corruption, and Restoration. Oxford, Oxford University Press. Among the top issues which challenge assertions for the existence of God is the disputed age of the universe. So if atheists, skeptics and Christians can possibly be “on the same page” in reading future articles here, we have to try to clear up this disparity. Without question, scientific findings firmly establish the age of the universe at some 15 ¾ billion years. Yet the book claiming to be God’s Word (see future posting #4, AUTHENTICITY OF THE BIBLE) sets that age at about 6,000 years. However, it’s the first six days of those 6,000 years, “the six days of creation,” that seem the hardest to accept in view of solid scientific evidence. Future posting #3f, THE SIX DAYS OF GENESIS, is going to address the events contained in those six days as well as the conflicting science. This posting discusses the timing disparity – six 24-hour days or 15+ billion years? Most of the content of this posting is my understanding of the excellent work, The Science of God, (1997), by Dr. Gerald L. Schroeder, Ph.D. My apologies to him for any unintended misrepresentations I have inflicted on his work. Dr. Schroeder received both undergraduate and doctorate degrees at the Massachusetts Institute of Technology, the latter in Nuclear Physics and Earth and Planetary Sciences. Pursuing his orthodox Jewish faith, he emigrated to Israel in 1971 after serving on the faculty of M.I.T. for some years. As a researcher and applied theologian, he does work at the Weizmann Institute of Science, the Volcani Research Institute, and the Hebrew University of Jerusalem (Wikipedia). What is so remarkable about Dr. Schroeder’s work I will discuss here is that he has reconciled the Genesis and science perspectives of the age of the universe by showing that the perceived flow of time for a given event in an expanding universe varies with the observer’s perspective. Applying Einstein’s Law (no longer a theory) of Relativity leads one inexorably to the conclusion that the six 24-hour days of Genesis and science’s 15 billion years are exactly the same! Indeed, Dr. Schroeder verifies this with a convincing numerical calculation (see below) based upon the scientifically accepted Expansion Coefficient, that is, the rate at which the universe expanded following the big bang, 1 X 1012 or a million-million (It is significant to point out that Dr. Schroeder’s work on this subject has been formally peer reviewed for accuracy by members of the relevant fields of science). All too briefly, here is my understanding of what this means: When the universe – and time – was rapidly expanding from the big bang, the unit of time defined today as a “year”, if applied then, would contain many, many more events than today’s year could hold. So a “year” then had a greatly different meaning than it does today. If, from today’s perspective, we could look backward from here and watch those events occur we would feel things were moving really, really fast, that is, “time” was moving much, much faster then than it is now. Science records that period of rapid time expansion in terms of how many of those events would “fit” into today’s year. The result: science greatly increases the number of today’s years in the early universe so we can understand it with a unit of time with which we are familiar. Another way of looking at this effect is to imagine we could actually be there at the big bang. Let’s say we could remain in one place right at the point of the big bang and watch everything expand into stars, galaxies, and space. If we could do this, our conception of a unit of time wouldn’t change, that is, an “hour” before the Big Bang would remain an hour, a day would continue to have 24 of these constant hours in it and all events would appear to be moving at a normal rate. If we wanted to write down everything we saw happening in one of these pre-big bang 24 hour days we would have a diary of all the events that today – looking backwards in today’s time – we see occurring in billions of years. This imaginary diary is not so imaginary – it’s called the Bible. The account is in the Book of Genesis, Chapter 1. I think many, perhaps most, seminaries haven’t yet found and incorporated Dr. Schroeder’s reconcilia­tion into their curriculum. Consequently, the popular Christian explanation of this glaring disparity in the accounts of time is to translate the word “day” in Genesis 1 as an undefined epoch – a rendering that conflicts with the original Hebrew. Interestingly, the Bible’s time reference shifts from pre-big bang time to today’s Earth time when mankind came on the scene late in the 6th day of the Genesis account. “In terms of days and years and millennia, … stretching of the cosmic perception of time by [the Expansion Coefficient 1 X 1012], the division of fifteen billion years by a million-million reduces those fifteen billion years to six days! Is there a God? Many think ‘no, there isn’t.’ And many think ‘there certainly is!’ How can we come to appreciate each of these age-old opposing views? For a layman to undertake a reasonable explanation is a very tall order. But since the topics envisaged for the future of this blog depend on a sound treatment of the question, I have to give it a shot. Through this and the next seven postings I hope to build an acceptable understanding on which we can proceed. Most of these eight postings is about origins and whether they are the result of natural processes or do they point to a transcendent Designer. “The big three questions about origins — of the universe, of life, and of humans — have … divided the secular from the religious. Until the 1960s, most scientists came to believe that the universe had no beginning. Most believers insisted it did.” — from The Science of God, p 20, Gerald L. Schroeder, applied theologian with undergraduate and doctoral degrees from the Massachusetts Institute of Technology. Did a Big Bang really happen? Was that the beginning of everything? And what or Who caused it? From Aristotle to the 1960s the accepted understanding was that the universe was infinite and eternal. The stars and galaxies were unmoving, static. There was no beginning. No need to wonder about its cause. However, Christians (and a surprising number of other religions and cultures) have long insisted that there was a beginning, caused by a creator. Aside from Biblical statements, substantiating evidence for this view was missing. To the Christian assertion that divine creation is “accepted on faith,” scientists and skeptics responded that to accept this was not sensible faith. Surprisingly, it has been science itself that has substantiated the religious claims, mostly in the last 30 years. Cracks in the eternal universe model began in 1929 when Edwin Hubble found that the galaxies were not fixed in space but were all moving away from each other. But moving away from where? Was there a starting point? “Wait a minute,” exclaims the Christian, “This Big Bang thing isn’t Biblical creation. It’s just more science mumbo-jumbo.” My personal guess is that this is a problem for many Christians because they see creation in a sort of mental picture in which the earth and all its vegetation and creatures appeared instantaneously like an action scene on TV emerging full blown out of a black screen following a commercial. Such an impression indeed would not match what is known about the Big Bang, but then it doesn’t match the creation account in Genesis either. We’ll get into the Big Bang sequence of events, the age of the universe as well as the six days of creation in Genesis in the coming few postings. Now just because everything in the universe, including space and time itself, came from nothing (that is, the Big Bang) doesn’t establish that there was/is a Creator God Who caused it all. Against the Christians’ continuing professions that “of course there’s a Creator,” a number of alternatives to the standard Big Bang model continue to be proposed. The theological implications of the Big Bang is irritating, repugnant, and distasteful to the scientific mind say luminaries like Einstein, British astronomer Arthur Eddington, Robert Jastrow, and MIT’s Phillip Morrison (The Case for a Creator, Lee Strobel, pg 112). Astronomer Carl Sagan in his popular TV series Cosmos suggested an Oscillating Model of the universe in which the universe expands, slows and then collapses and expands again, cycling in this fashion indefinitely, thus avoiding the need for a beginning and a creator. Steven Hawking has been working on his Theory of Everything. Other models try to avoid the need for a cause (creator) of the Big Bang by relying on behaviors found in quantum mechanics where, indeed, particles can appear out of nowhere. 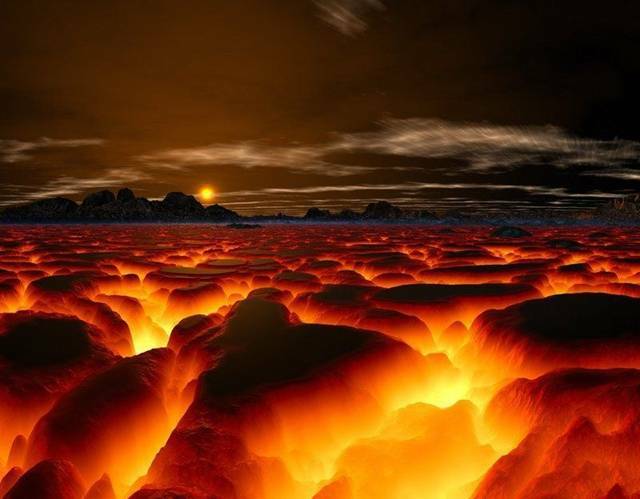 As fatal flaws are found in each hypothesis new proposals grow more and more imaginative to the point that more faith is required to believe in some kind of a universe without a creator than to look to the Biblical account as the most sensible faith.